the buses we took off. one of the barriers that you are supposed to go around. 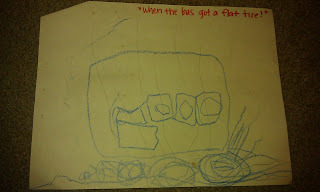 a big metal X of sorts with a bus full of children. almost tipped according to parents on the other bus. 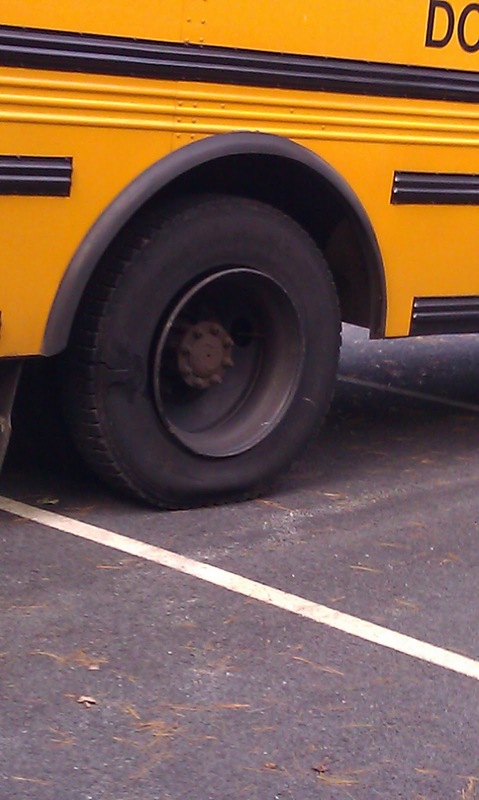 Needless to say we busted our tire and had to all board one bus. So some 50 preschoolers and the 15 or so chaperones on one bus. 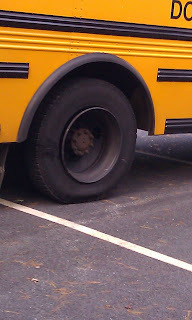 Here is the busted tire I took a picture of with my phone. Once we got to the farm we were split into 4 groups. because I haven't gotten to know her quite as well as I'd like to. in that same preschool class again this year. favorite part of the field trip. 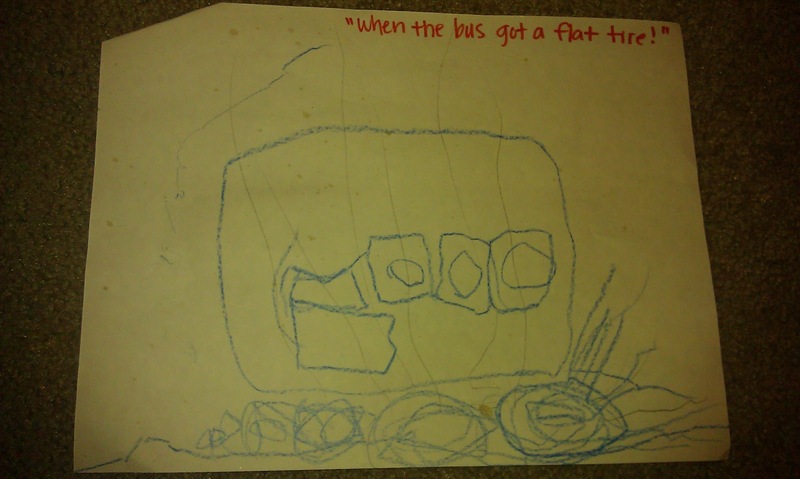 "When the bus got a flat tire!" SO cool! Where we moved from had a similar place and my kids LOVED it, too- especially the maze! Following from the Thirsty Thursday Hop from Jenn's RAQ. :) Have a great Thursday!! That is so funny. We went to a pumpkin patch a few weeks ago and my son refused to ride the hayride because he said it scared him. When we got home I asked him what he liked most about the pumpkin patch.... his response was the hayride. Ha!